Stop in and check out our granite countertops starting at $39 a square foot! Once you fall in love with a piece of granite there is nothing anyone will say to deter you. Unique quoting, ordering and production capabilities allow to choose or modify the styling, wood, color and finish to enhance the beauty and comfort of any room. Quality doesn't simply mean exceptional materials and craftsmanship. It means creating kitchen cabinetry tailored to the needs and desires of the customer. Whether you prefer the warm comfort of traditional kitchens, the sleek lines and rich tones of today's European-style kitchens, or the personality of mixed colors and textures in the eclectic kitchens, Holiday Kitchens' custom cabinet designs are always modeled on the way you live. Holiday Kitchens provide exceptional custom cabinet craftsmanship, offer diverse cabinetry designs that suit the way people live in their kitchens, presenting customers with quality, durability and value in their elegant custom cabinetry. 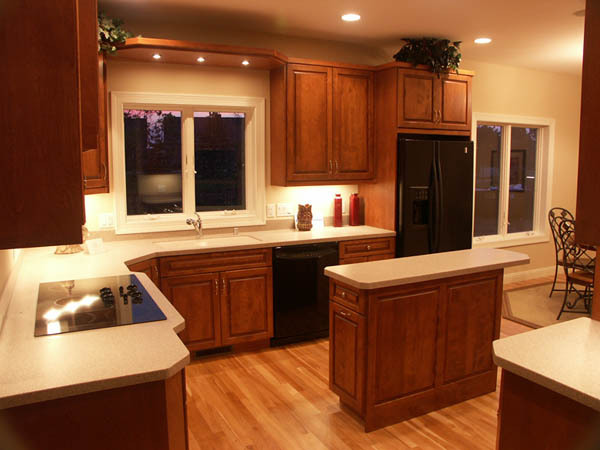 Woodcore Cabinetry is one of the most sophisticated manufacturing facilities in the northeast. They strive to service the industry by having a strong focus on quality, workmanship and service. Diamond Cabinets offers a large selection of high quality kitchen cabinets, bathroom cabinets, and cabinets for every room in your home. They also offer an extensive line of ingenious organization cabinets to provide organization solutions throughout your home. Full Section of Knobs & Handles, All Types of Countertops Offered - Laminates, Quartz, Acrylic, Granite. "The Source For All Your Kitchen Needs"